The NEW ReaperX fly rod is a moderate fast action rod with a powerfully deep loading tip section that shoots line with impressive accuracy and protects even light tippets against hard-fighting fish. The improved ReaperX allows anglers of any skill level to experience confidence, power and accuracy. Building on the legend of the original Reaper fly rods, these upgrades will continue to improve upon the legend..
All Mystic rods are covered by a lifetime warranty, for the original owner. 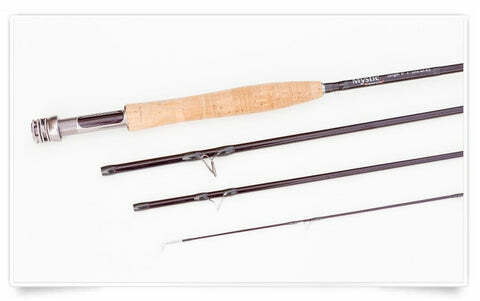 This fishing rod lifetime warranty includes defects caused by craftsmanship or faulty materials for the life of the rod. 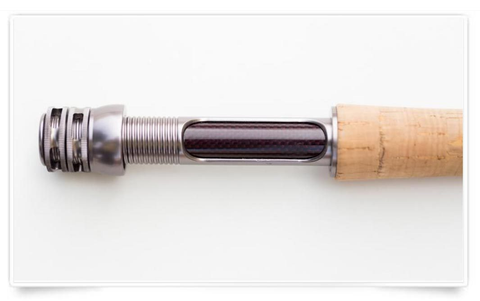 By utilizing multi-modulus graphite technology, Mystic Fly Rods has created a rod with a supple tip capable of protecting light tippet, while at the same time delivering immense power through the middle and the lower sections of the graphite blank. The end result is a rocket launcher of a rod that redefines what “fast action” should feel like. Like all Mystic Fly Rods, the ReaperX is true to line size and saltwater safe. The ReaperX is a rod other brands don’t want you to compare. It performs with the best and is highly regarded by well-known anglers as one of the best-performing fast action fly rods on the market. Local guides and anglers have praised the ReaperX for its versatility, capable in a wide variety of fresh and saltwater fly fishing situations. The ReaperX is available in light line options, designed for delicate freshwater presentations, and heavier line weights that provide the backbone and fast action necessary to stand up to wind and the challenges of saltwater.